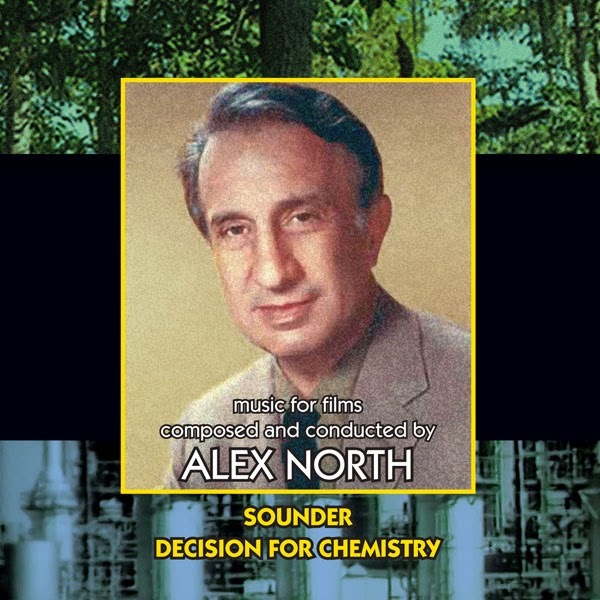 Alex North had a deep affinity for the music of the American South, and following his landmark 1951 score for A Streetcar Named Desire he’d been given frequent opportunities to harness this love. One such opportunity came in the form of 1972's Sounder, based on the beloved young adult novel by William H. Armstrong. It takes its name from a hunting dog belonging to an impoverished family of Southern black sharecroppers, telling the story of young David Lee Morgan and his quest to find the chain gang where his father is serving hard labor after stealing food. North’s empathy for the careworn Morgan family is apparent from the score’s opening bars. The main title begins with a haunting, gospel-tinged melody for flute and strings, backed by a soft guitar line. This is followed by a cheerful passage highlighting harmonica, before the piece concludes with an impassioned viola solo— a microcosm of the film’s hardships, joys and sorrows, all masterfully distilled into ninety seconds. Early in the production, producer Robert Radnitz had hired the prominent blues musician Taj Mahal to portray a minor character and perform on screen. Radnitz ultimately became so enamored of Mahal that he insisted the bluesman be commissioned to provide all-new background music, tossing North's score into obscurity. Until now. The 1953 corporate short film Decision for Chemistry runs a little under an hour in length and was produced by Monsanto Chemical for screenings at schools and other assemblies across America. Its stated purpose was to intrigue boys and young men with exciting scenes from the world of cutting-edge chemical engineering, in the hope that they would choose chemistry as a career track (or at least gain a greater appreciation for the work of Monsanto). North’s score is robustly American through and through. In its grandest and most inspirational moments, it swells with broad, sweeping melodies that conjure the vast and limitless potential of the spirit of enterprise. This is counterbalanced by more intimate passages that sketch, with bucolic whimsy, the life of typical small-town lads. It is the lengthy industrial montages, however, where North is really able to cut loose, deploying kinetic jazz rhythms and lots of busy overlapping lines. Appropriately, North uses modernist touches for the more science-oriented scenes. It all adds up to an energetic portrait of an artist in full command of his creative powers. Both scores, taken from mono sources, premiere here and capture a slice of quintessential Americana.